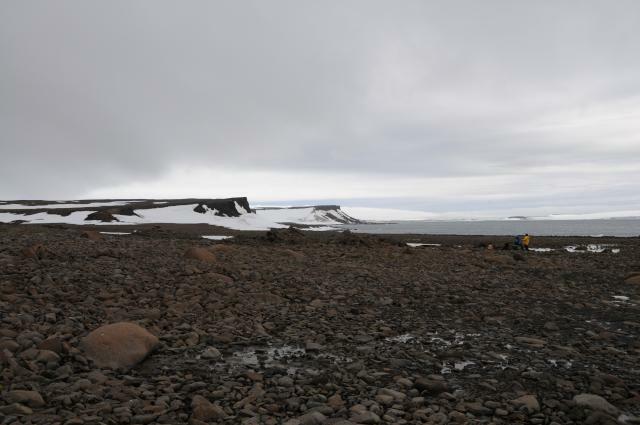 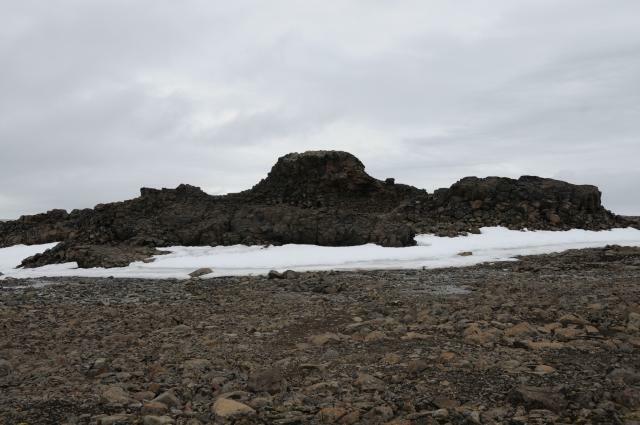 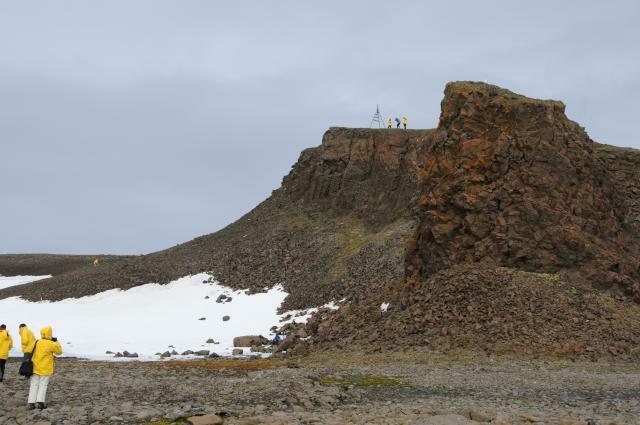 Our next landing was on Wilczek Island, where the 1873 Austro-Hungarian North Pole Expedition which discovered Franz Josef Land first set foot on the archipelago. 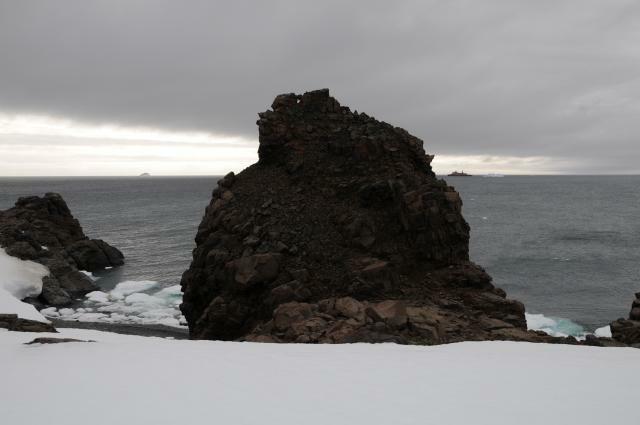 The island was named after Count Hans Wilczek, the principal financial backer of the expedition. 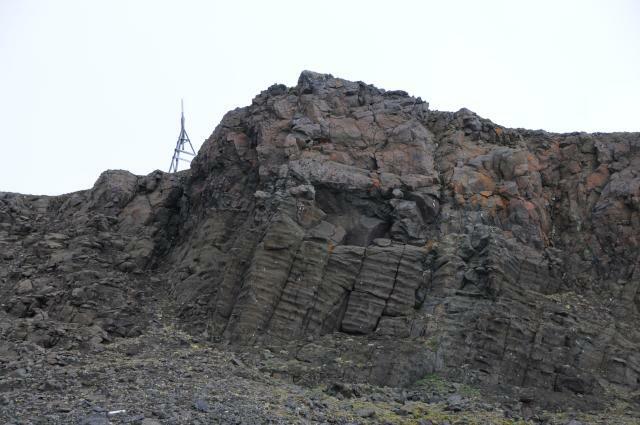 The columnar basalt so common in Franz Josef land is evident in this view of the promontory. 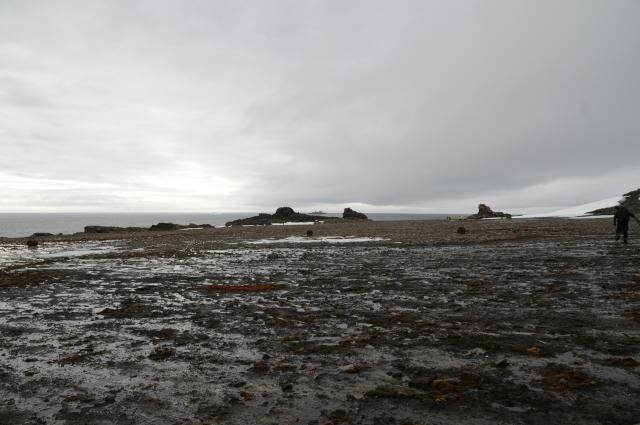 This island was the bleakest place we landed, but as elsewhere in Franz Josef Land, life clings to every niche in which it can survive. 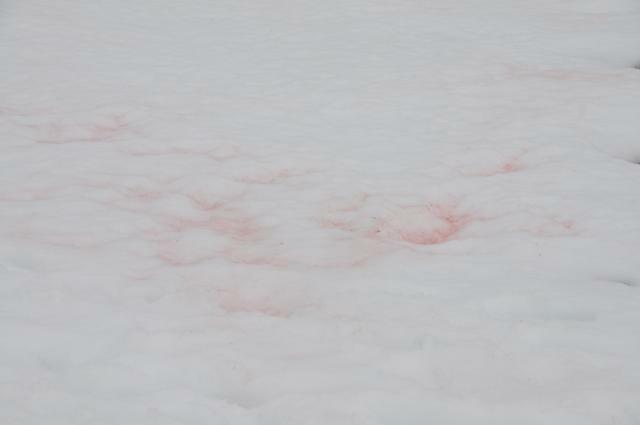 Even the snowbanks were colonised by snow algæ (Chlamydomonas nivalis), a photosynthetic extremophile which grows on snowfields in the polar summer. 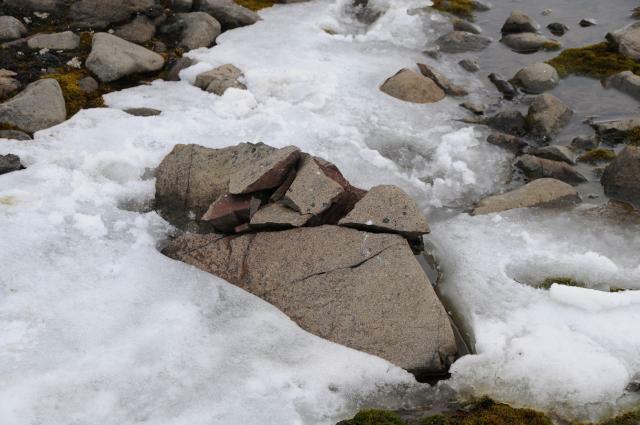 The freeze and thaw cycle slowly fractures large rocks into smaller ones. 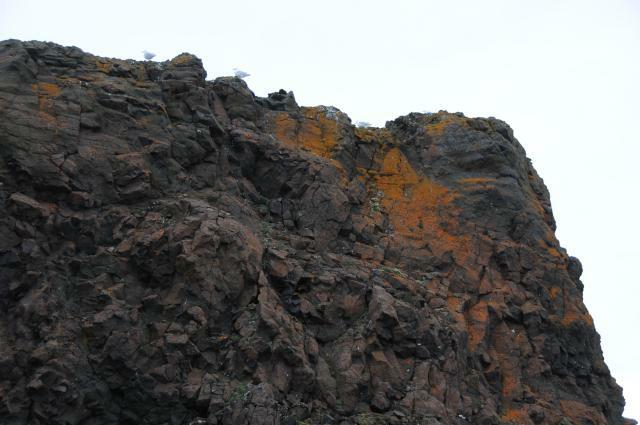 Seabirds nest in niches in the basaltic cliffs, where orange and green lichen grows. 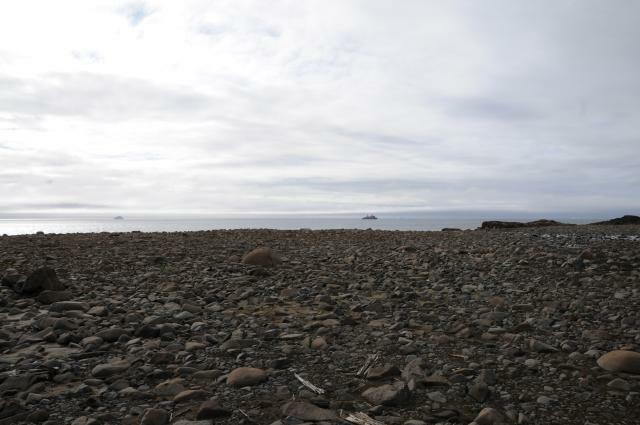 In the distance, the ship is flanked by two icebergs, probably calved from the glaciers on Wilczek Island. 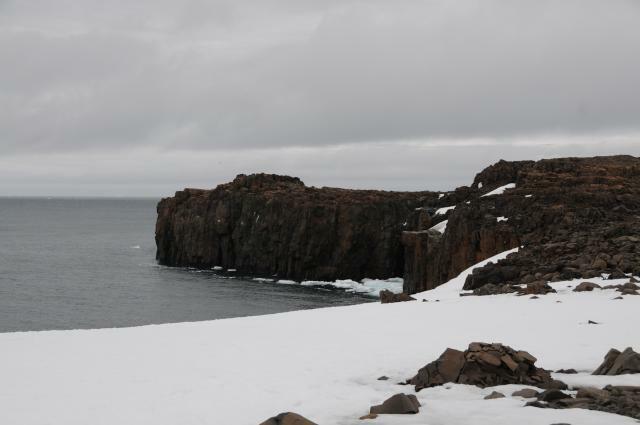 Bones of animals are frequently encountered on these islands. 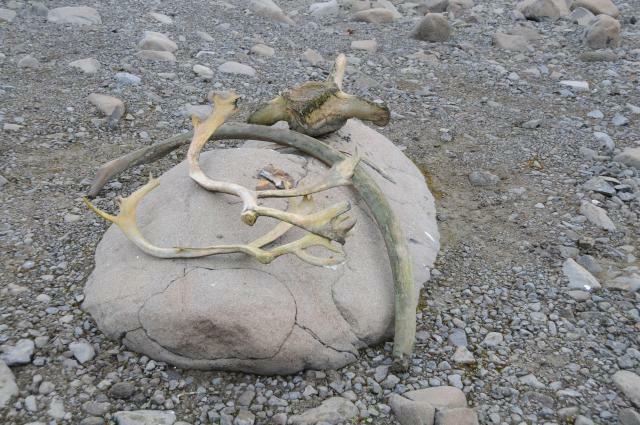 Near the landing site, this whale vertebra and rib were found, along with two reindeer antlers. 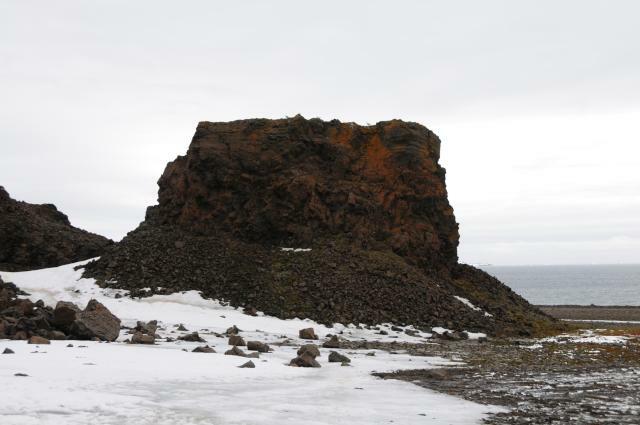 The latter are odd, since no reindeer are known to inhabit the islands. 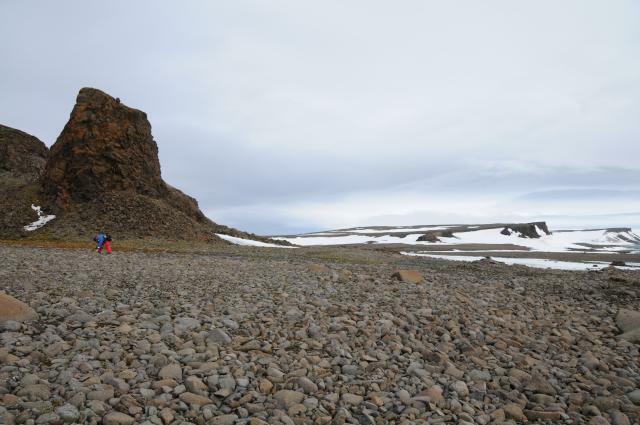 Since exposed bones can last for a century or more in Arctic conditions, they may have been left from animals brought by one of the expeditions to the islands.